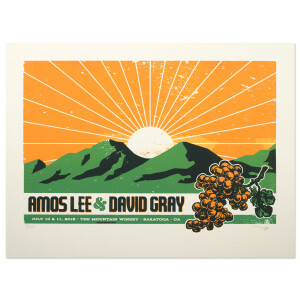 Limited edition poster from the July 10-11 events at Mountain Winery in Saratoga, CA. 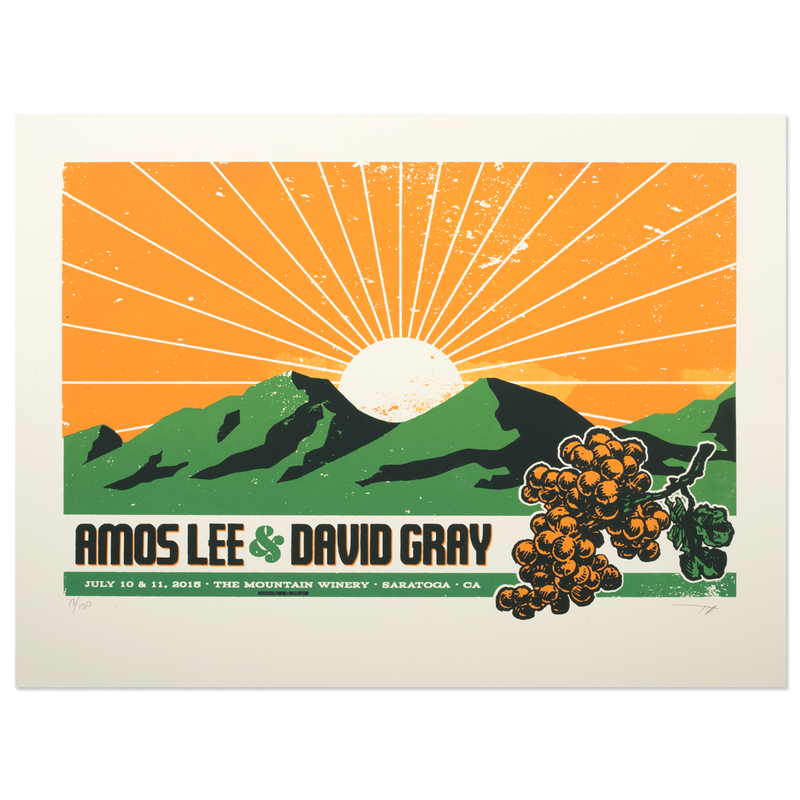 Part of the Amos Lee & David Gray 2015 Summer Tour. Limited quantities remain from tour.